Martin Guptill is something of an enigma. On his day he can be as devastating and destructive as the best in the world. Other times, he can look very mediocre and give his wicket away playing a loose shot. To dismiss his credentials as a top batsman in T20Is for his foibles would not be doing justice to him as he has an impressive record in the shortest format. Is he an all-time great? What do the numbers say? Let us dissect his T20I career in detail. When Guptill reached 58, during his whirlwind century against Australia in the 5th T20I of the tri-series in Auckland, he became the leading run scorer in T20I history, surpassing his former teammate Brendon McCullum who had scored 2,140 runs from 71 matches. Guptill overtook McCullum in his 73rd match, which shows that the two had pretty similar career arcs. Guptill has a pretty good record even away from home, which shows he is not just a fair-weather batsman who prospers only at home. The only criticism that can be levelled is at his low strike rate in neutral venues. In the annals of T20Is, there have been 40 batsmen who have scored at least 1,000 runs. Of them, Guptill has the 8th best average which is a stupendous achievement when you consider the caliber of players in such an elite list. He is also one of just 7 batsmen who have scored at least 2 centuries in T20Is. Only his teammate, Colin Munro, has more centuries in T20Is with 3. The table below shows Guptill’s numbers while batting first and chasing in T20Is. He is almost as good as chasing as he is at setting a target, so he is not intimidated by the pressure of a huge run chase. There have been 27 batsmen who have scored at least 300 runs in successful chases. Guptill has scored the 3rd highest number of runs (613) among them and his average is the 6th best amongst them. Once again he has a good record when compared with his peers in world cricket. In the 39 T20Is he has played where New Zealand have been victorious, he has scored 1,422 runs at an average of 47.4 and a strike rate of 143.34 with 1 century and 11 fifties. This is the 2nd highest aggregate of runs scored by a player in victorious T20Is, behind only Mohammad Shahzad, who has scored 1,521 runs from 4 innings more. It must be said that the quality of bowling attacks faced by Guptill is far superior to those faced by Shahzad, who has scored most of his runs against associate teams. 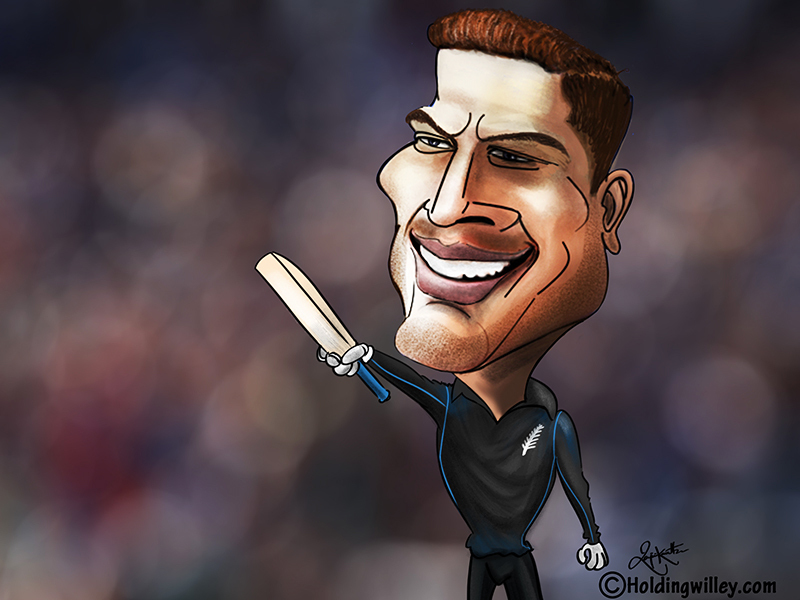 Guptill scored the most runs by a Kiwi batsman in a calendar year when he scored 472 runs at an average of 47.2 in 2012. This is the 4th most number of runs by a player in a calendar year after Virat Kohli, Shahzad and Rohit Sharma who scored 641, 520 and 497 runs respectively in 2016. The one major blot in Guptill’s career is his poor record at the World T20. In 21 matches at the World T20, he has scored just 409 runs at 22.72 and a strike rate of 111.14 with just a solitary fifty. 57 out of Guptill’s 72 innings have been as an opener, and this is where he shows his pedigree. He has scored 1,923 runs at an average of 36.98 and a strike rate of 138.74; all his centuries and fifties have come while opening the batting. He has scored 203 more runs while opening than Tillakaratne Dilshan, the next highest scoring opening batsman, and what is commendable is that he has done so in 9 innings fewer than Dilshan. There have been 38 batsmen who have scored at least 500 runs while opening the batting in T20Is and Guptill has the 5th best average among them. Interestingly, 3 out of the 4 batsmen who have a higher average while opening the batting are from New Zealand. They are Colin Munro, Kane Williamson and Brendon McCullum. Guptill’s strike rate is the 8th highest among the 38. What this tells us is that Guptill is among the pantheon of all-time great batsmen in T20Is. He may not grab the headlines like Chris Gayle, Virat Kohli and Glenn Maxwell, but he has the numbers to back him up and deserves credit for his exploits in T20Is.